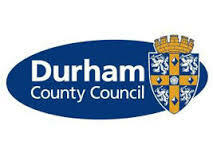 Motorists can get on the road to safety this winter with seasonal checks at Durham County Council’s service centres. They cover everything from tyres, lights, battery and windscreen wipers to anti-freeze, starter systems and heating. The checks, along with MOT’s, are carried out by qualified technicians and are available “while you wait”. They are competitively priced at £26 with the full MOT’s from £42. The checks are available for all makes and models of vehicle and MOT’s can be carried out on cars, minibuses and commercial vehicles up to 3.5 tonnes. For further details visit www.durham.gov.uk/MOT.